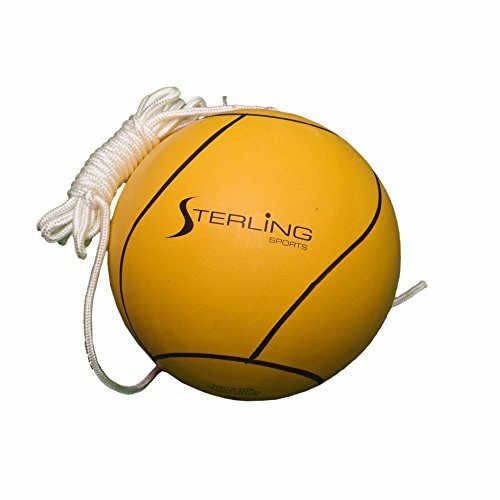 Introducing Sterling Sports classic yellow tetherball. Upgrade your tetherball set with this brightly colored rubber ball. The rubber tetherball has a soft play surface along with an attached 11Ft nylon rope, one of the longest in the market. Make your tetherball set the highlight of the neighborhood with sterling games classic yellow tetherball. If you have any questions about this product by Sterling Sports, contact us by completing and submitting the form below. If you are looking for a specif part number, please include it with your message.